DHX Brands is the dedicated brand management and consumer products arm of DHX Media Ltd., one of the world’s leading children’s content and brands companies. DHX Brands specializes in creating, building and maintaining high-profile global entertainment brands within the children’s and young adult markets. With expertise in brand development, licensing, marketing and creative, we build and manage brands that captivate and inspire through engaging content, first-class distribution, quality consumer products, immersive live experiences and digital media. 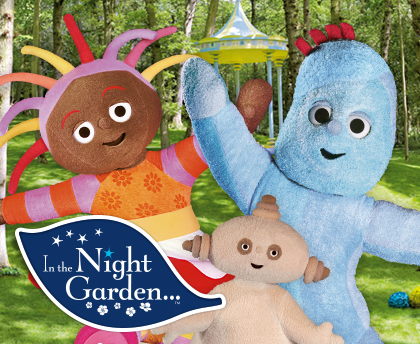 DHX Brands’ world-class portfolio includes Teletubbies, Strawberry Shortcake, Twirlywoos, Massive Monster Mayhem, In the Night Garden and Mega Man. DHX Brands has operations in London, Toronto, Los Angeles and Hong Kong. "It’s Time for Teletubbies" – A brand new series featuring the same much loved characters – Tinky Winky, Dipsy, Laa-Laa and Po – hit screens late 2015 in the UK and rolled out internationally in 2016. With a re-invigorated look for 21st century pre-schoolers, the new series showcases a fun and humorous world which captures the imagination of children and encourages them to learn from the world around them through laughter, other children and the power of technology. The brand new series has 120 episodes and is available in over 220 territories across linear and VOD television. 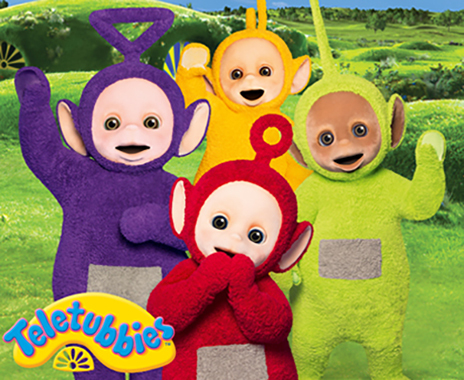 With strong ratings and up to 100 million views on YouTube per month, Teletubbies continues to captivate new audiences. The first consumer products launched in January 2016, with an award-winning toy line leading the way. We now have a strong roster of licensees internationally and a full raft of products across all categories. 2018 looks set to be another big year for one the UK’s biggest pre-school properties as we look to continue our growth in our live events and attractions arm of the business, with Teletubbies Live theatre show. 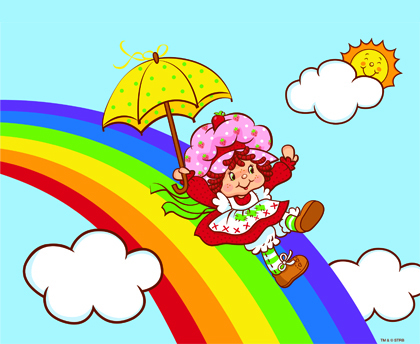 Strawberry Shortcake has grown and evolved since her creation in 1980. The moms who loved her in the '80s can now share her with their daughters through Netflix, DVDs, apps, and of course, dolls – which still boast their iconic scent. With an international presence reaching markets around the world, from Brazil to France to Turkey, Strawberry Shortcake is truly a global property. Keep an eye out for a brand new Strawberry Shortcake; a new kids’ series is currently in development! 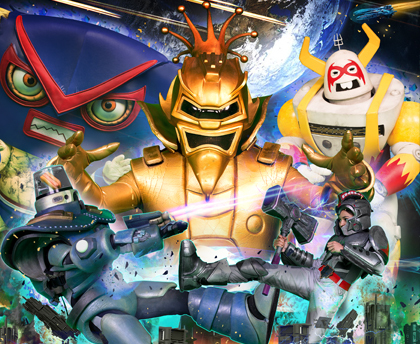 Massive Monster Mayhem is the ultimate action-packed, sci-fi action, adventure game show starring the greatest Massive Monster Superstars in the universe versus three real kid heroes. Each episode features Master Mayhem and his league of monsters as they battle to take over our planet. Three real kid Heroes step into the action and compete in three intergalactic elimination challenges (The Megalator, The Mega Duel, and The Monster Mashdown) for a chance to win awesome prizes, save the planet, and become Earth’s Champion. The unique series combines cutting-edge, real-time CGI and pre-visualization technology to give the show a signature visual style. 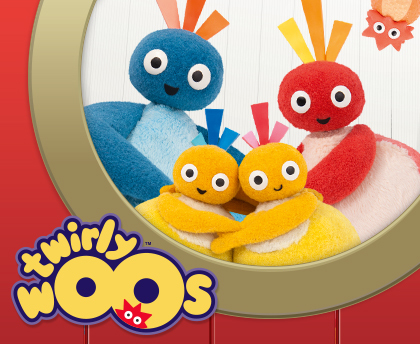 Twirlywoos presents children aged 2 to 5 years with a funny flight of discovery. Featuring adorable antics of four characters, Great BigHoo, Toodloo, Chickedy and Chick, the series incorporates child-centric slapstick humour that encourages preschoolers to gain confidence in their own perceptions of the world. Following a strong performance for the series on CBeebies UK, the award-winning toys and licensing program is a hit with young audiences. Twirlywoos, is now in its second series in the UK and proving a hit with international audiences. Aki Light is a regular, upbeat, robot schoolboy. He lives in the futuristic world of Silicon City, co-inhabited by robots and humans. But this robot boy has a secret... 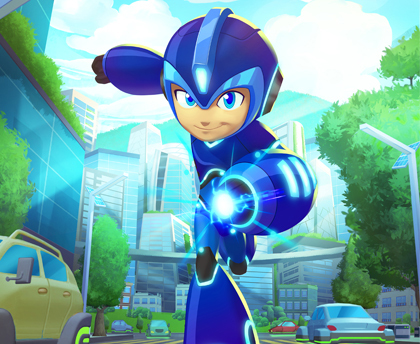 Deep within his programming lie protocols that can transform him into the powerful hero, Mega Man! When the villainous Sgt. Night and his evil team of Robot Masters emerge with ill-intentions, Mega Man dedicates himself to protecting the citizens of Silicon City. Equipped with his Mega Buster arm cannon and the ability to absorb the powers of his opponents, he bravely battles the wickedest of villains. In this brand new series inspired by the iconic Mega Man video game, comical, action-packed adventures abound as we follow the journey of Aki Light and his alter-ego, Mega Man, as he strives to balance life as an ordinary robot boy AND an amazing superhero.